The sun is an unlimited source of clean energy. 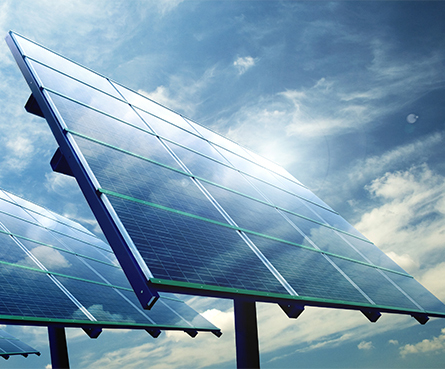 We help you tap into that energy using cutting-edge solar technologies. Solar panels are a great way to reduce your carbon footprint and gain energy independence. With a grid-tied system, you can even make your electrical meter spin backward, slashing your power bills. Modern PV modules offer up to a 25-year manufacturer's warranty and require very little maintenance. For a fixed cost, you could cut your energy bills for life. Solar PV equipment is exempt from Colorado sales tax, and you could qualify for federal tax credits for up to 30% of the system's value. Installing a solar system is also a great way to increase the value of your property and make it more attractive to buyers. Switching to solar power is easy and straightforward. Our team members help you at every step of the process, from the initial design to filling out the rebate forms. Colorado receives more than 300 days of sunshine a year, so it's a great place to go solar.